Build a bus at Broad St. Mall! We’re celebrating the launch of Reading Buses’ brand new purple 17 bio-gas bus, with a fabulous FREE event at Broad St. Mall this February half term. We’ve teamed up with Reading Buses and Brick Galleria to host a fun, family workshop where you are invited to build your own LEGO® brick Reading Bus. 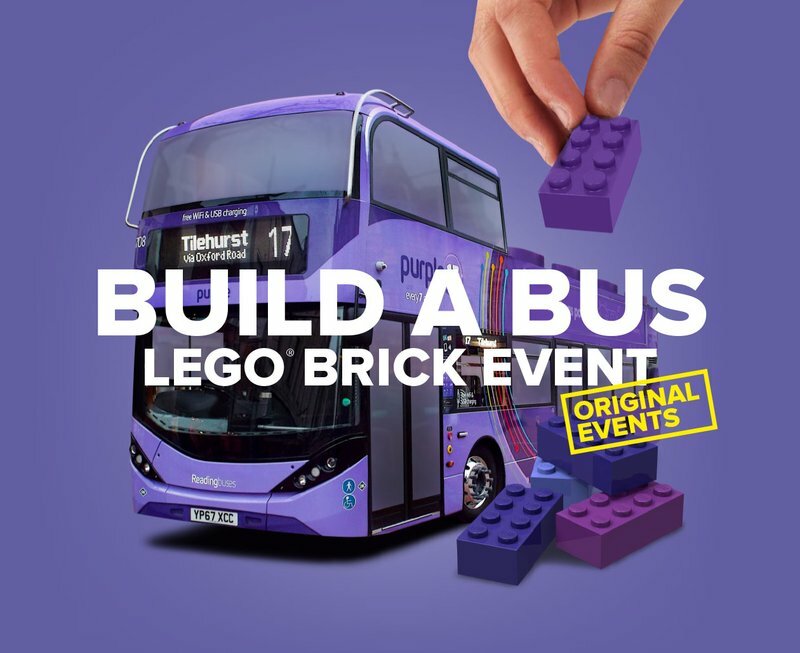 These fun sessions will be led by locally based, international LEGO® Brick Artist Kevin Hall from Brick Galleria who will provide participants with a LEGO brick kit to build a replica model of the new bus to take home. The workshops are open to all ages on a first come first served basis, with only 30 places per session. Taking place in the central square on the 14th, 15th and 16th of February, with 4 sessions per day, at 10am, 11am, 1pm & 2pm. It’s a great way to keep the kids entertained, completely free of charge during the February half term break, when the weather can be a little unpredictable, so come down and join the fun!